Studio 10 is an innovative range of make up that is able to offer us that “quick fix” that we may need to deal with our imperfections without the need for more invasive treatment. The brand has many hard working products within their range from skincare to makeup that work quickly and easily. Studio 10 is very accessible on the high street including M&S however for September (whilst stocks last) their amazing, cult product Miracle Effect Priming Serum is available as Beauty Pick of the Month on QVCUK. This means that you can buy this product for the reduced price of £43 instead of £68. Why is this product so amazing? Why does it have such a huge celebrity following? Well in my opinion its because it works! Miracle Effect Priming Serum is a unique blend of anti-ageing, anti-inflammatory and anti-oxidant ingredient’s. It contains 99% of type 1 Collagen, Argan oil, caffeine and a blend of 5 anti-inflammatory extracts. These ingredient’s increase the skins ability to hold moisture, calm down any redness and puffiness in the skin and protect the skin from the outside elements that’s work towards ageing the skin. The serum gives the skin a wonderful plump look, hydrated feel and glowing complexion. I was lucky enough to put some questions to Studio 10 founder/creator Grace Fodor recently about why she created this much loved brand. Here is the first part of the interview. hair care – but not it’s not so coherent when it comes to cosmetics. specifically disguises, covers and corrects the signs of ageing. the formulas, textures, finish and colours were suited specifically for mature skins. elasticity, providing lift and firming the skin. premature ageing. It also helps to prevents DNA damage and photo ageing. hydration due to its micro-reservoir effect. 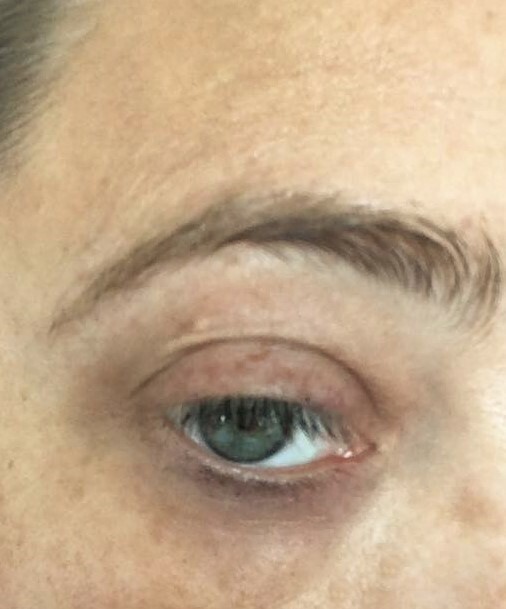 spots, redness, broken capillaries and dark circles. the best advice you’ve been ever given? my dad – he always seems to have the best advice!If you really want to do it then go for it. and support others as much as I can. pigment, finish and colour, that specifically suits and works for ageing skin. understand the process. Saying that I just need to look in the mirror! to apply, multipurpose, compact and good value. understand the needs of older women, in order to meet them. skin changes as we get older, and our faces need a fresh approach to makeup. is why, in part, Studio 10 is very personal to me. needs of our customers rather than working on a ‘one size fits all’ solution. suit the needs of a particular and currently this under-served group. More from this interview can be read in my make up focused Studio 10 post coming soon. As you can see from my before and after photos below ( which do not involve airbrushing or photo shopping – hence my dark circles!) I have achieved really great results on the wrinkle just above my eyebrow which I have had for a while now. 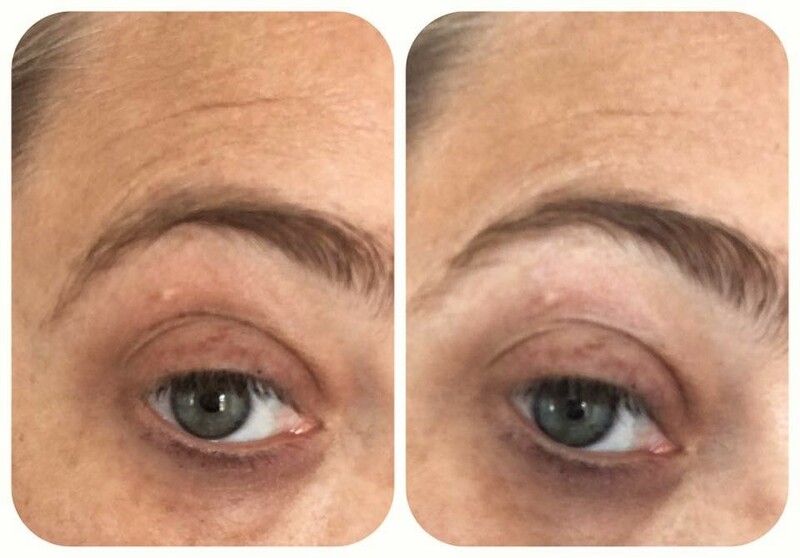 15 minutes after applying Miracle Effect Priming Serum wrinkle above my eyebrow almost vanished!! The serum is lovely and cooling on the skin without leaving any tacky residue behind and really does give a great base for make up. Studio 10 will be airing the Miracle Effect Priming Serum during a 1 hour show on September 1st 5-6pm on QVCUK. However you can purchase here online. I have also posted a review on the Studio 10 Correcting palette and would love to hear your thoughts on this brand. Please leave me a comment below. "Percy & Reed Wonderbalm Supersize"